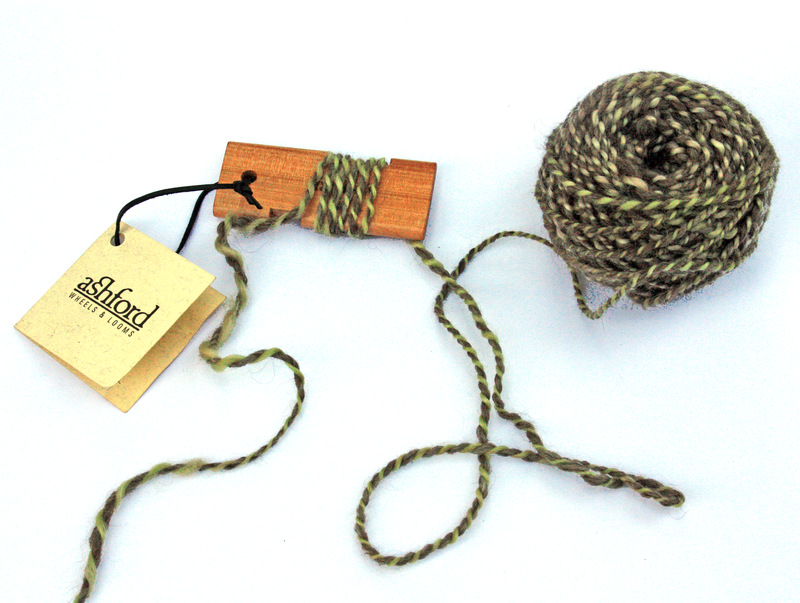 We all have leftover bits of handspun singles or yarn from weaving, knitting and crochet project. Put those little bits and bobs to work by using them to experiment with color schemes you might not normally try in a full-scale project - you may just find a winning combination along the way! 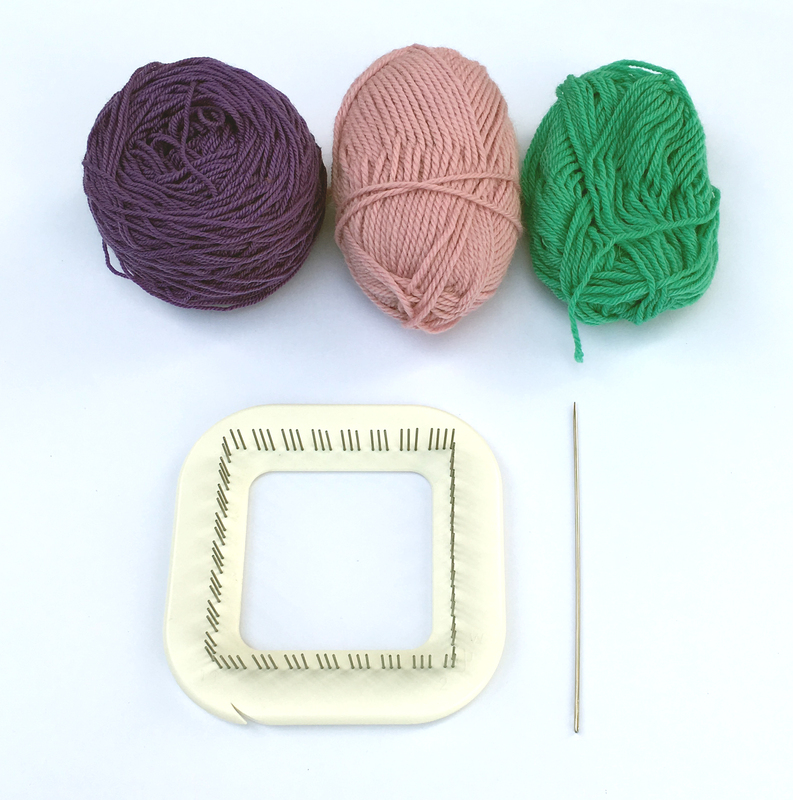 The Schacht Zoom Loom is a fun way to play with color combinations, color dominance, and color placement. 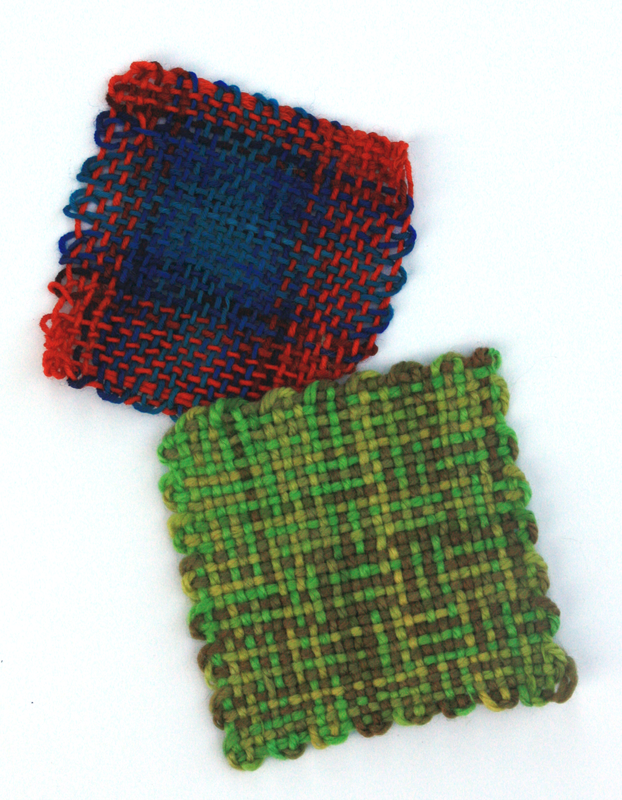 These Zoom Loom squares were woven using the same three colors of yarn, inspired by the above palette. You can experiment with which color is used for warp or weft to see how the dominance of a particular color affects the finished square. Another fun way to use the Zoom Loom is to weave with a variegated yarn; if the colors are repeated in a pattern, you can get some interesting results! Best of all, you can use all of your finished squares to create fun projects - click here for free patterns using Zoom Loom squares! 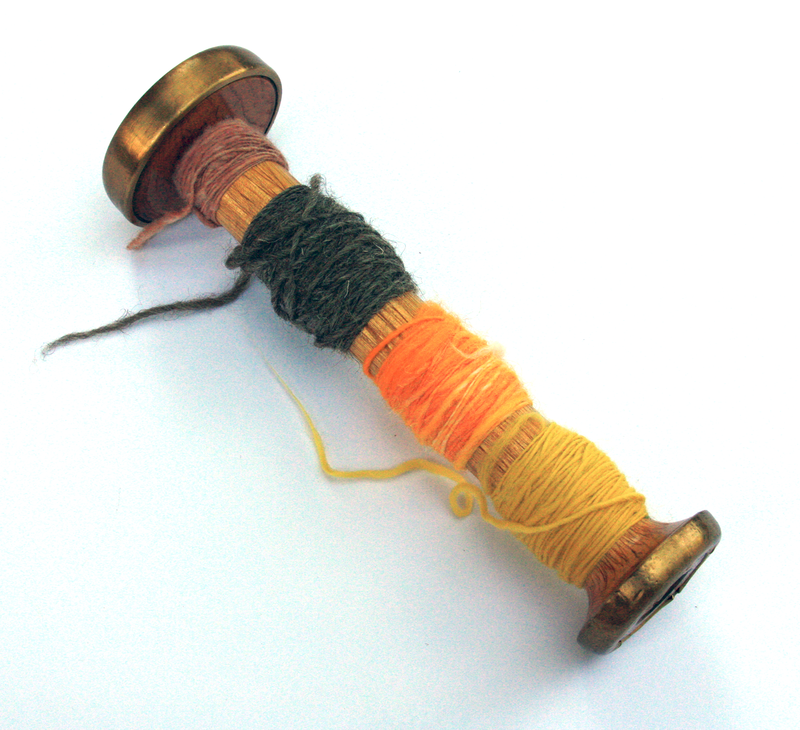 Most spinners probably have a lot of leftover singles from past multi-ply projects. Here is another opportunity to pair up unlikely colors to see how they look plied together, without having to commit your time and resources to a full-scale project! Sometimes, the most unlikely color combinations look the best. Dare yourself to try the thing that you are certain won't work. Since you're using leftover bits, you have nothing to lose, and sometimes the results can be surprising. 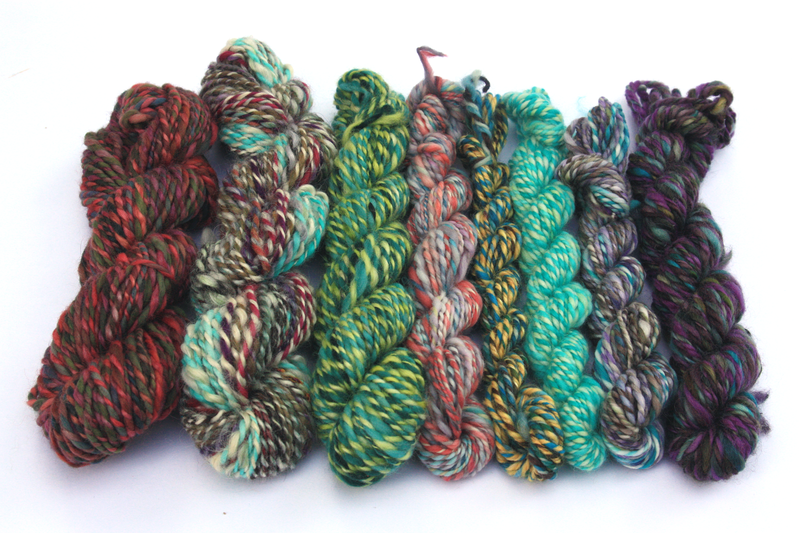 All of these skeins were created using leftover bits of singles spun with dyed yarns. 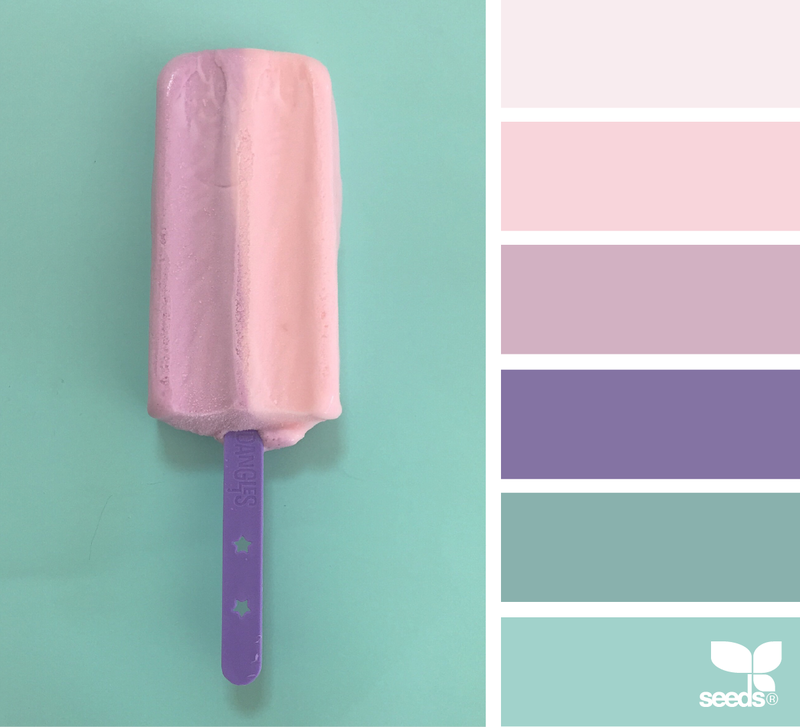 For more colorful inspiration, click here to check out our new Color Exploration board on Pinterest!